MEF is proud of what we have achieved in the years since a small group of concerned students, educators and community members came together with the vision to make this foundation a reality. In keeping with our mission to imagine, inspire and innovate, and with the generous support of our donors, we have been able to a support the following initiatives. Outdoor Classroom - a place for students and teachers to unplug and learn outdoors in nature was completed. Makerspace Supplies - create and explore in the library! 1,000 Book Club- Students in grades Pre-K - 1 can take books home and read 1,000 books! School/Community Garden Bates Scholarship -to be announced at graduation! 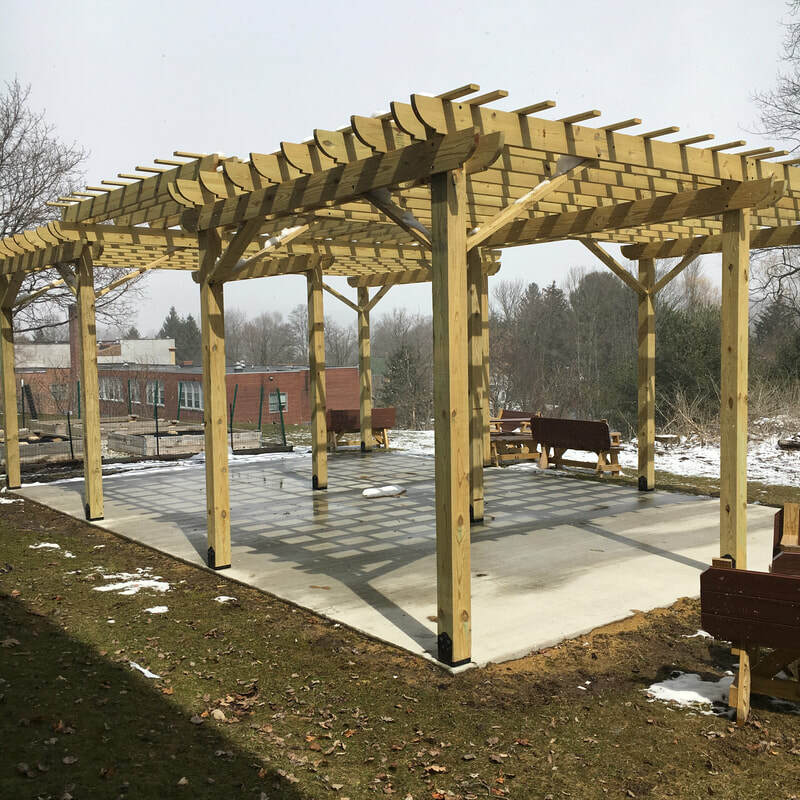 The pergola on the Outdoor Classroom is finished! Students using the outdoor classroom to work on their STEM projects! Students created designs on MDF board in Art Class to make a printable surface for a steam roller to press during STREAM week.